There are car deals that are planned but most are spontaneous. You may not plan on buying an old classic when you wake up but halfway through the afternoon you suddenly have less space in your garage. That’s basically what happened almost twenty years ago. 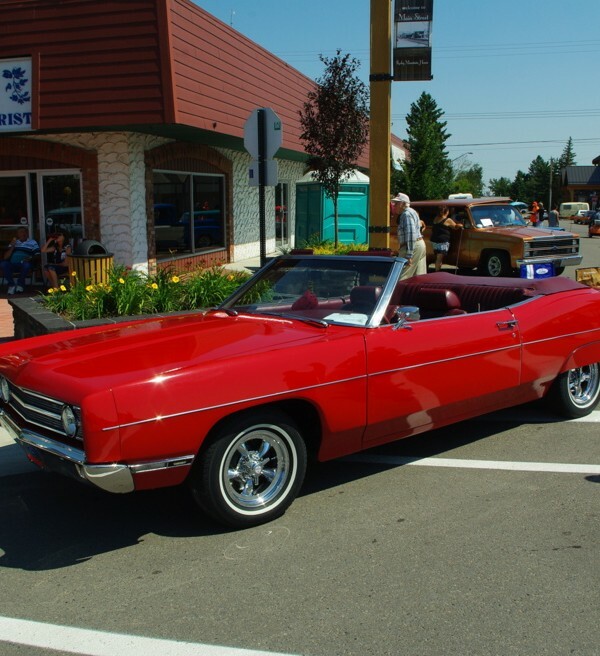 Craig Bostrom wasn’t in the market for a 1969 Ford Galaxie convertible back in 1999 but it did fall into his lap. His dad was doing a transfer to a dealership when he spotted the big Ford ‘vert. It was a trade-in and he thought the car would be a good fit for Craig. 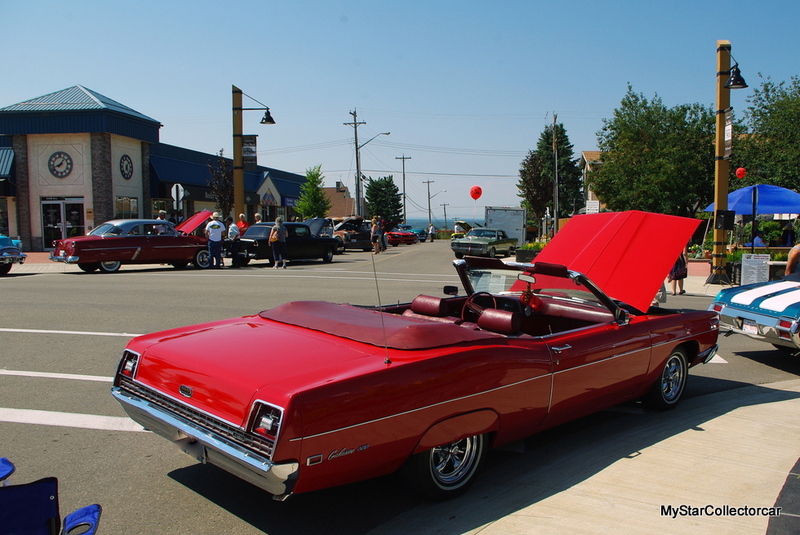 Craig said he believed the car was traded in by a “grandfather who wanted a minivan to haul his grandkids” and the Galaxie didn’t make the grade. Craig said he “looked at it and liked it”. The Ford was in running condition but it turned into a major project. 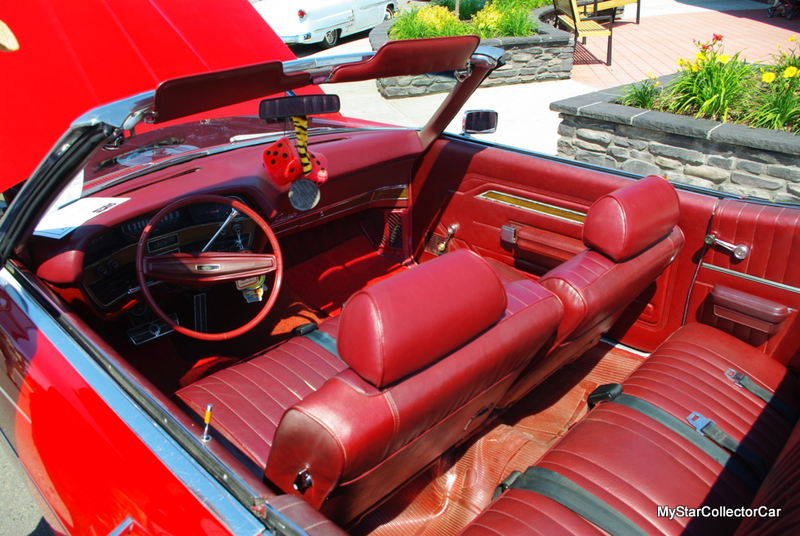 The paint was burgundy and Craig thought it was an attempt to “match the interior”. 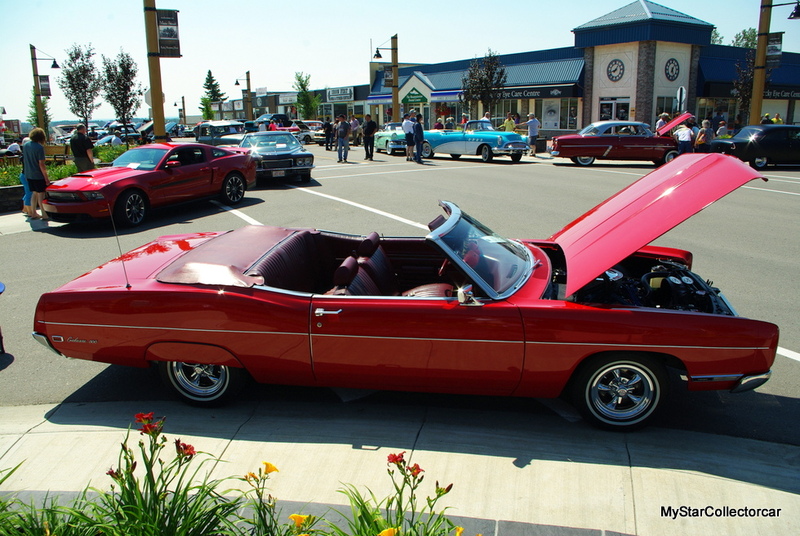 The convertible sat high “like a 4×4” thanks to some seriously non-factory wheels and tires and the 302 engine was out of a truck. There was a whole “batch of electrical problems” because someone had tried to fab in an aftermarket cruise control. 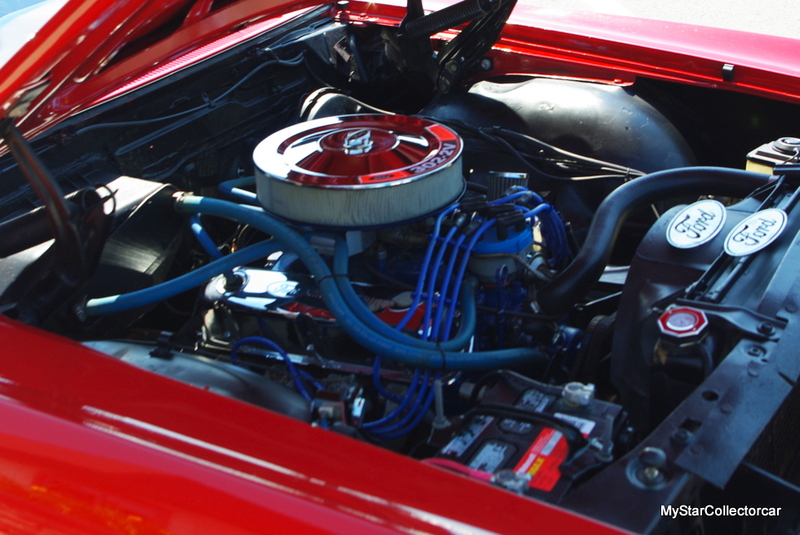 Craig solved the mismatched engine issue when he blew it up on road trip. 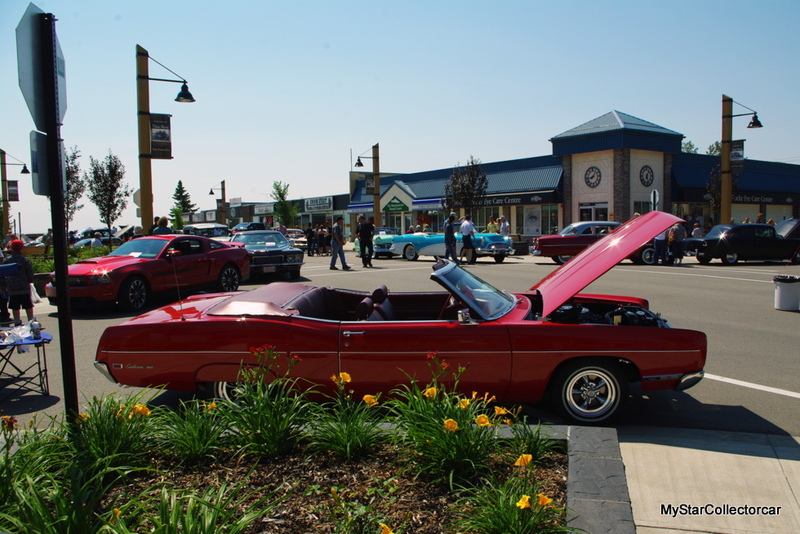 He found a date code correct small block Ford and the car became closer to factory. 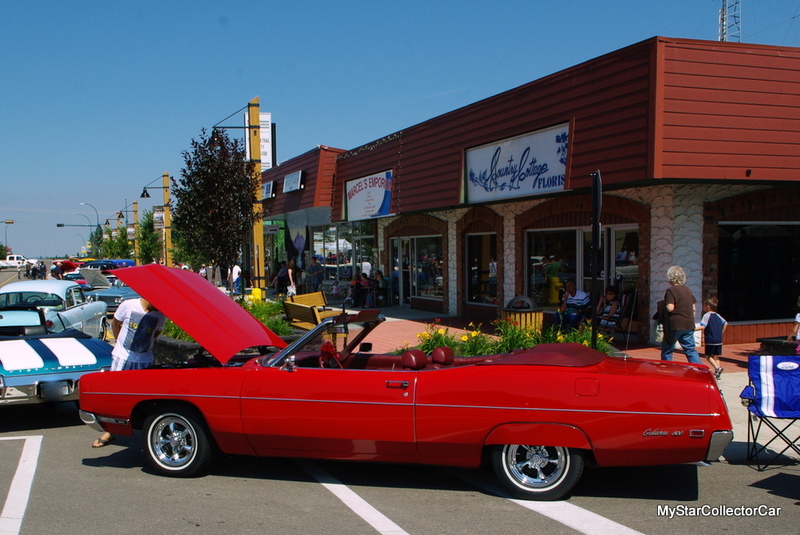 The next step was the paint—Craig went back to the factory red and took the car to another level after some typical convertible rust repair. The front seats have been done but the rear seats are exactly like they were when this big Galaxie rolled off the assembly line. He went away from factory with the headlights—they’ve been upgraded to 21st Century standards and Craig said the difference is like night and day. This is a 2-barrel car so it’s not a high performance machine. Craig called it a “floater” on the road and he likes to run it 70-75 miles an hour because he doesn’t like to “push it”. He runs it with the top up on the highway because he had an ear ache after a long road trip but he does like to put it down around town and at shows. 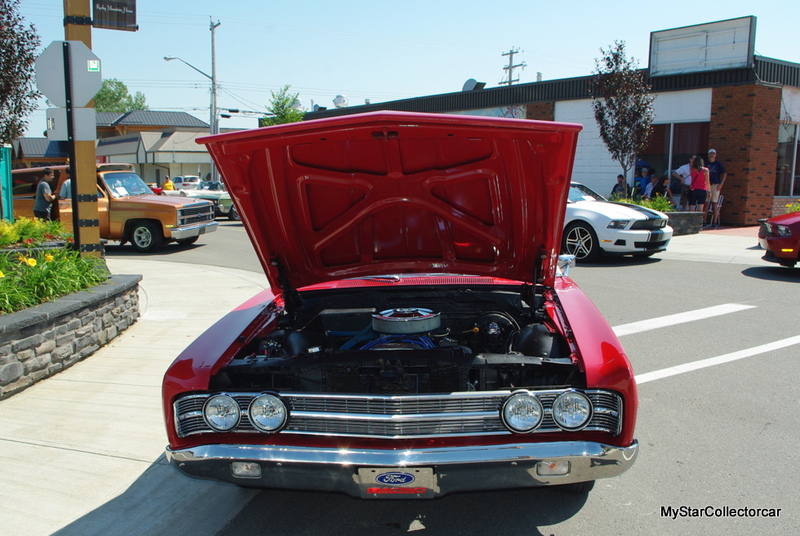 Craig has owned the Galaxie for many years so he’s used to the attention it draws on the road or at gas stations. 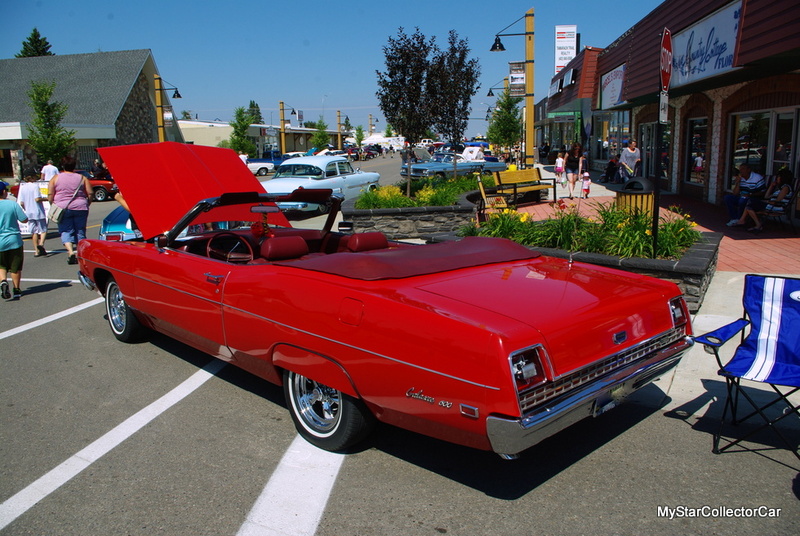 There’s the inevitable “my dad used to own one” comment but the reality is these convertibles were on the lower end of the Galaxie production numbers. Craig has only one real concern with his big Ford. 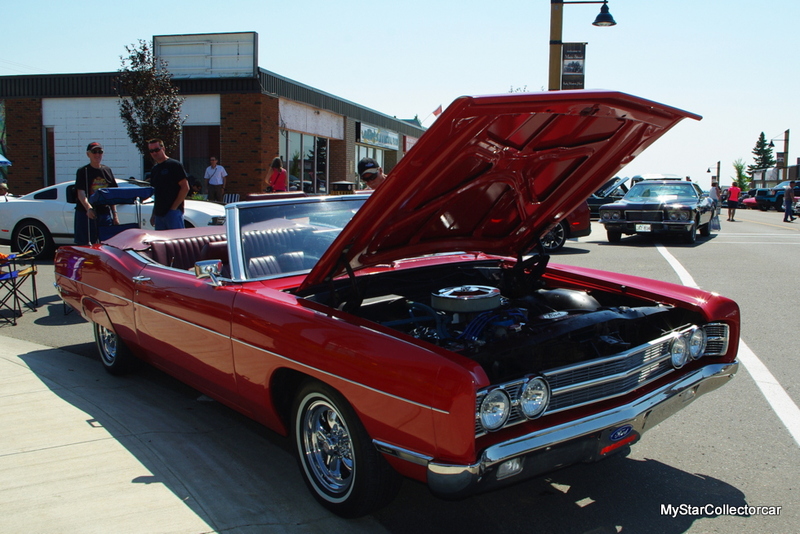 He said it’s “underpowered because this is a big car to pull with a small block” so he’d like to upgrade to a 4-barrel carb but overall he’s really happy with his ’69 Galaxie. 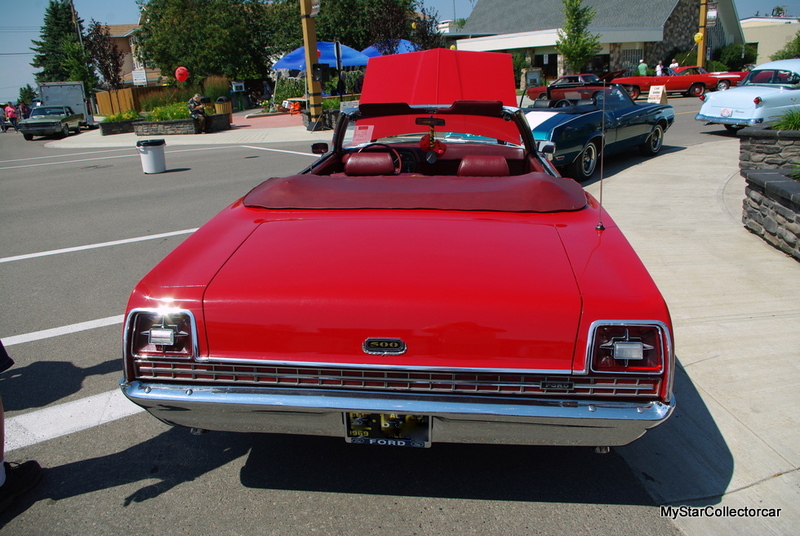 Craig’s Ford really stood out at a big show because he really pays attention to its appearance. It never sees bad weather because it’s always stored inside—under a car cover. 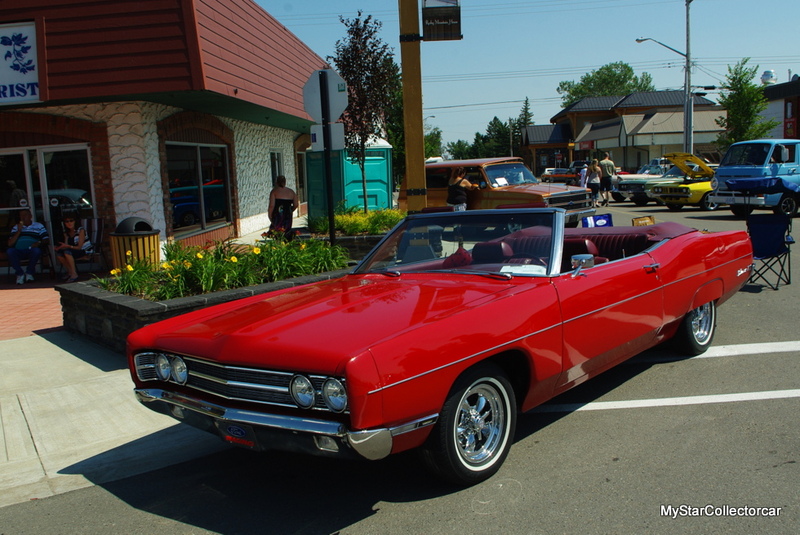 That’s how to keep a big red 60s convertible looking spectacular. 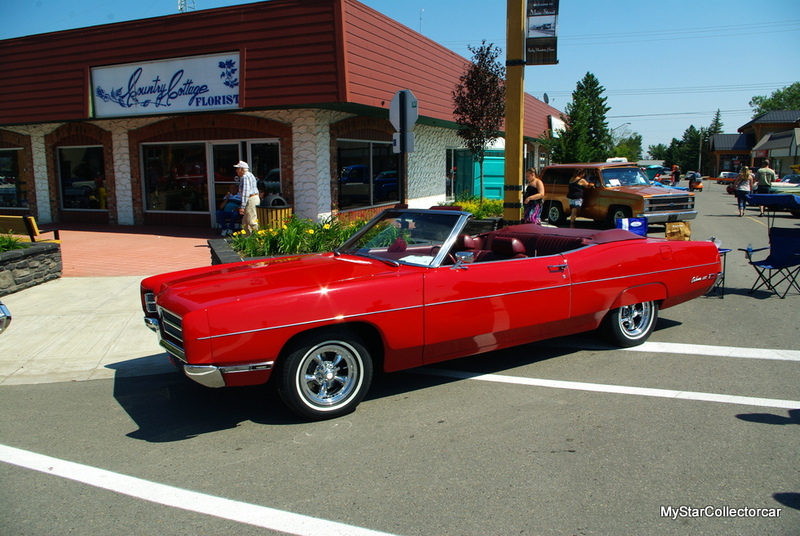 This ’69 Ford Galaxie convertible may have been a spontaneous purchase almost twenty years ago, but for Craig Bostrom it was the best impulse decision he ever made.